Rhema’s 5 Years Old Today! 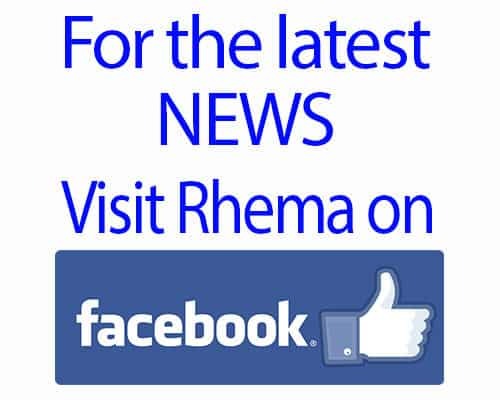 Rhema Is 5 Years Old Today! OH, how time has flown!!! I know we’ve not posted in a while, but I could not let this day go by without posting something. We’ve got so much to catch you guys up on! But for now, let this little Birthday Wink from Rhema warm your heart! 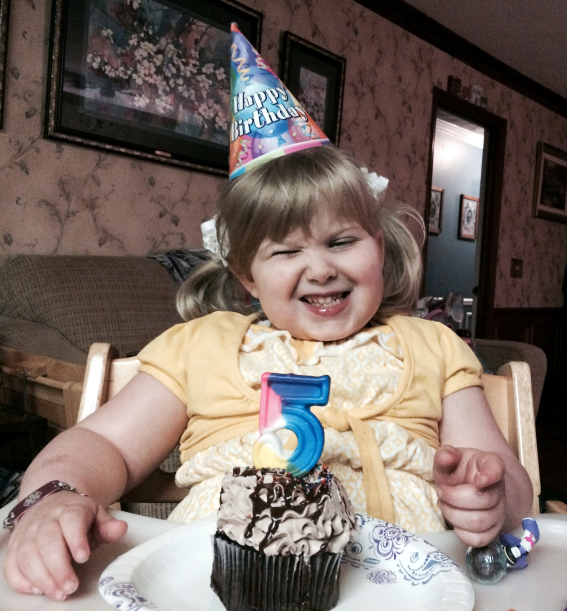 We celebrated Rhema’s 5th Birthday today and it’s really been a wonderful day. It has been quiet, just our little family of three and Rhema has had a blast. Oh course we will be partying all week long and planning a HUGE celebration soon, but for today, it was quiet. Rhema picked the place for lunch, we spent $5 in quarters for her to play some games, went to the library to get some new books and then to the toy store where she picked out two astronaut toys! We ended our night with some party hats (at her request) and a chocolate cupcake with extra sprinkles. Oh, and right before she went up stairs in her “robot chair” to her room we practiced making silly faces while looking at my phone camera and watched videos of herself when she was a baby. Currently, I’m watching her jumping on her bed as I type this; she is waiting for me to come and read her some library books before bed. Yes, our little baby is growing in to a little lady. Oh, how I wish I could slow time….. she is growing so fast. Today her funny Rhema-isms were: she needed a bra like mommy and some “bumps” too, she needed keys to get into a store that was closed that she really wanted to get into and that she really NEEDED more sprinkles on her cupcake… it was a NEED! LOL! She keeps me in stitches most days; she is learning how to verbally express herself more and more each day and I’m loving it! Well, this little update will have to do for now. My little lady is jumping herself into a frenzy and momma must get up there to read her some books in our “reading chair” before she totally passes out. LOL! Hugs to you all, our precious friends and family who pray, and we will be more diligent in updating soon.